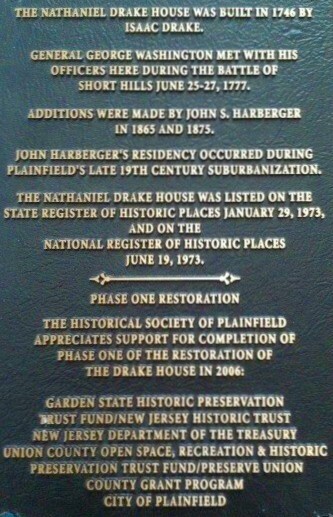 In 2002, The Historical Society of Plainfield was awarded a Cultural Enrichment Grant through the New Jersey Secretary of State's Office for the preparation of the specifications for the Restoration and Preservation of the Nathaniel Drake House. 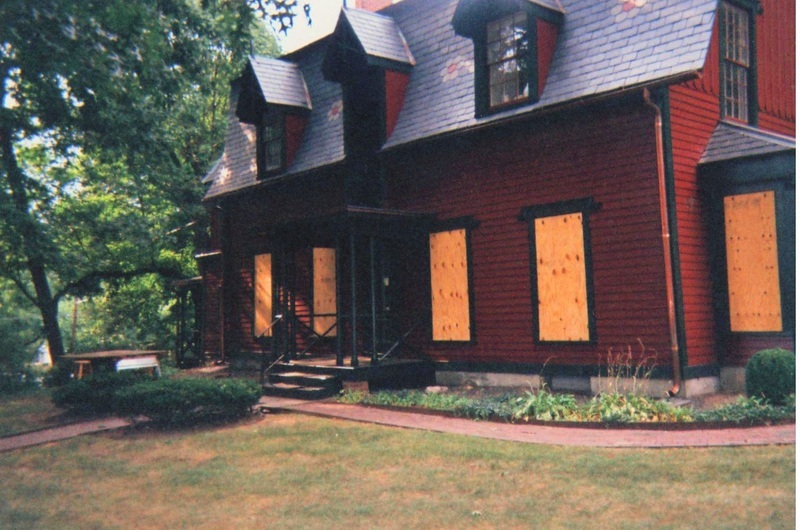 By 2004, HJGA Consulting, an architectural and historic preservation firm, completed a three-phase Historic Preservation Plan detailing a strategy to restore the House at a cost of approximately 1.2 million dollars. 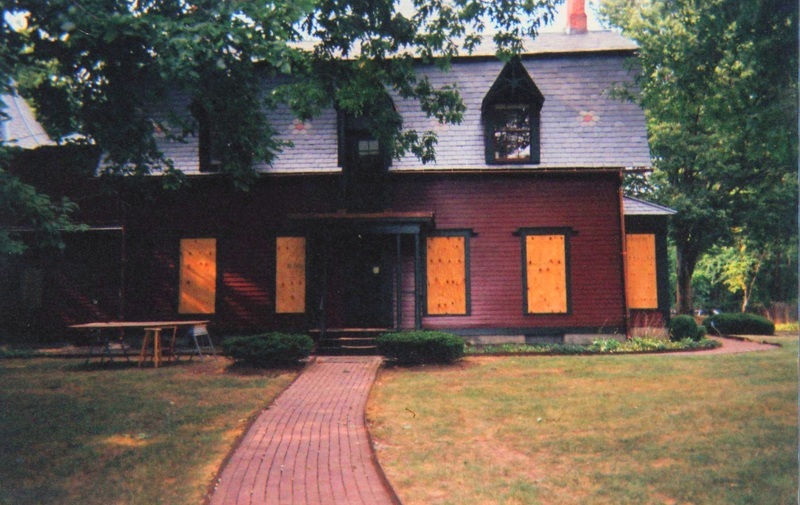 Phase I, completed in the Spring of 2006, addressed the deteriorated exterior conditions including roofing, repairs to siding, restoration of windows and doors, exterior painting, and the remediation of the structural deficiencies in the second floor framing, at the kitchen and main building. Phase II focused on the mechanical systems: upgrading of the heating and electrical systems; the installation of air conditioning, dehumidification and ventilation systems; the restoration of the exterior shutters; and the installation of interior storm windows. The entrance was also rebuilt with the installation of a handicapped ramp. Phase I and II have insured the structural integrity of the house and the repair and preservation of the exterior. The final Phase of the Restoration Preservation plan will be to restore the front porch including related slate roofing, finish carpentry and exterior painting. The overall goal of the project is to restore the exterior of the building to its period of significance. 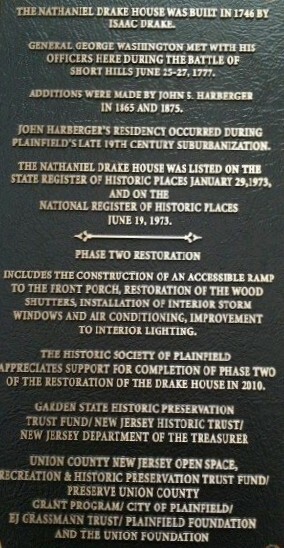 The Restoration and Preservation of the House was made possible through funding from: The City of Plainfield, The Plainfield Cultural and Heritage Commission, The Union County Open Space, Recreation and Historic Preservation Trust Fund, The Preserve Union County Grant Open Space and Preservation Fund, The New Jersey Historic Trust, The Plainfield Foundation, The E.J. Grassman Trust, The Union Foundation and donations from members and citizens.